Are you looking for an economical, safe, reliable and affordable car? Here it is! 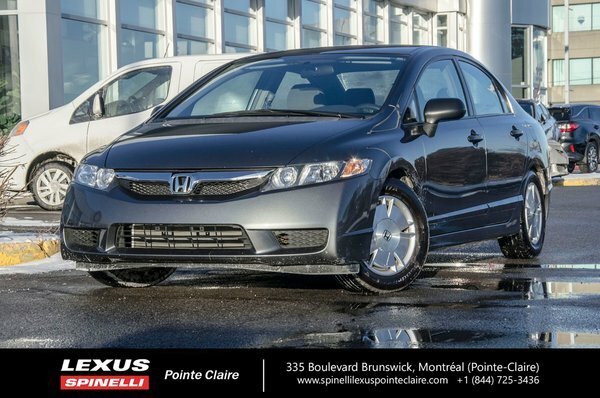 You can't go wrong with this 2009 Civic DX-G sedan. This car is in great shape and is well equipped with all the features to make your daily commute enjoyable. Automatic transmission, air conditionning, AM-FM CD, cruise control, tilt steering, power locks, windows and mirrors, alloy wheels, and much more. Carfax vehicle history report available and free.